Sherwin-Williams updated their dress code policy to have a more modern, friendly and stylish approach. The new policy needed a strong introduction so employees would be both excited and educated about the more flexible appearance standards. The materials surrounding this introduction required new language and imagery to highlight the many options Sherwin-Williams now offered for introducing personality into their uniforms. GO2 Partners worked closely with Sherwin-Williams to establish the design and content for multiple tactics. The centerpiece of the campaign was a brand new Sherwin-Williams lookbook. 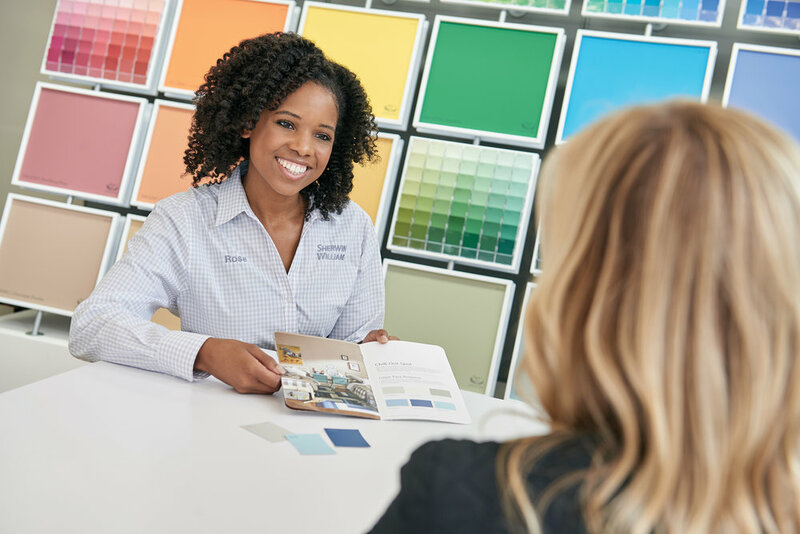 To create this piece, we organized photoshoots of Sherwin-Williams employees showing off their looks and developed language that encouraged employees to make good choices to show their personality while representing the brand. We then designed the book to be both informational and inspirational, highlighting lifestyle images of the uniform options in action. The campaign also included a quick reference poster to hang in the store for easy access to uniform options, standards and style recommendations. 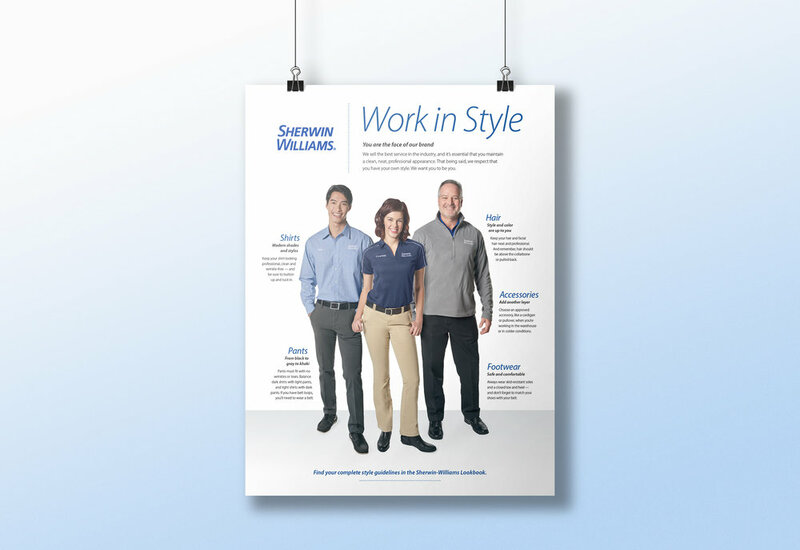 GO2 Partners provided lookbooks and posters to all of Sherwin-Williams’ 4,300 store locations. With an initial rollout of 8,890 books and three reprints so far of 5,000 each, the materials we provided continue to ensure all store employees know how to dress for safety, dress for style, and dress for success.